This Bluebird of Happiness pattern is knitted with The Magic Loop method of knitting with circular needles. With circular needles, cast on 9 stitches (knitting in garter stitch (plain)). 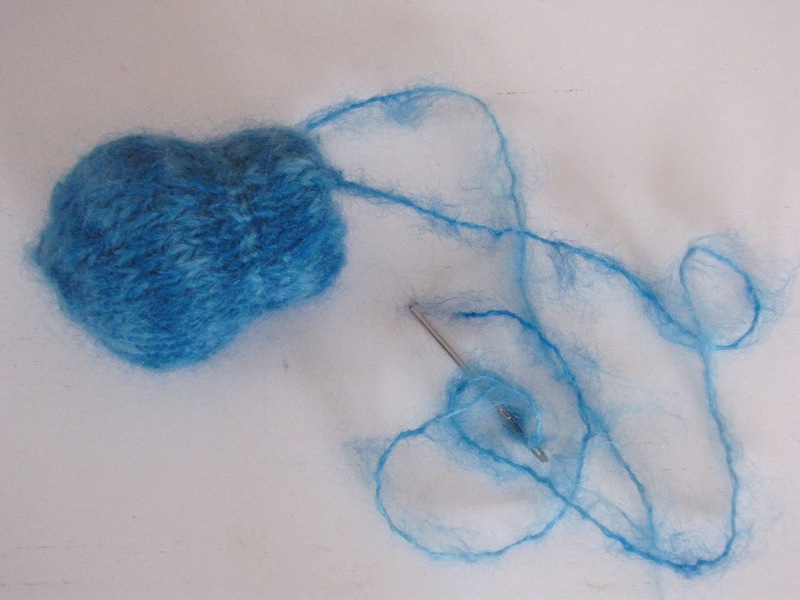 Join for knitting in the round and place a stitch marker at the beginning of the round. Round 1: Knit 1 round. Round 2: Knit into the front and back of each stitch for 1 round (18 stitches). Round 4: Knit into the front and back of each stitch for 1 round (36 stitches). Round 12: (Knit 1 stitch, knit 2 together) repeat across this round. Round 14: (Knit 1 stitch, knit 2 together) repeat across this round. Round 15: Knit 1 round. Round 16: Knit into the front and the back of each stitch to increase. Round 21: (Knit 2 stitches together) repeat to the end of the round. 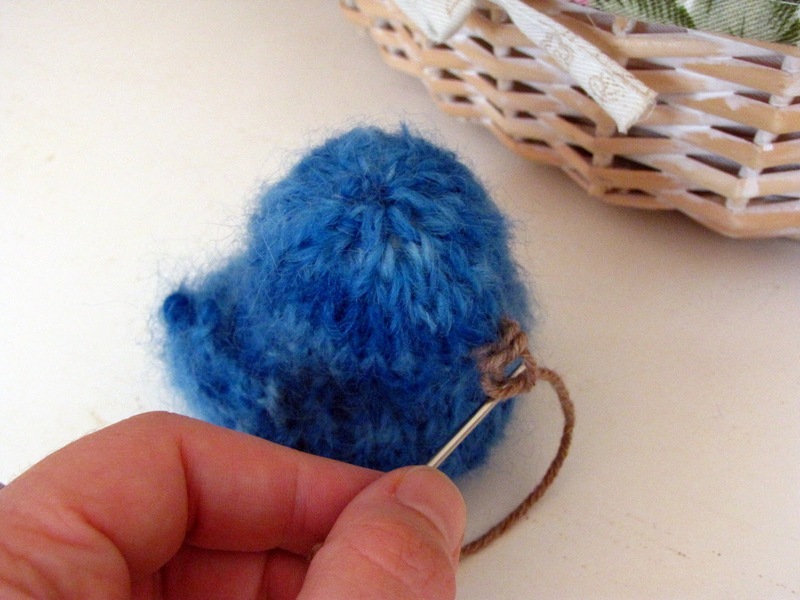 Break yarn and thread the yarn onto a wool needle and thread the remaining stitches through the wool needle and leave until you are finished filling your bird with stuffing. The tail is knit in garter stitch (plain). Cast on 1 stitch at the beginning and end of the row. Knit first and second row. Row 3: Cast on 2 stitches at the beginning of the row and 1 stitch at the end of the row. Row 5: Cast on 1 stitch at the beginning and knit 2 together at the end of the row. Row 7: Knit 2 stitches together at the beginning of the row, knit to the end of the row. 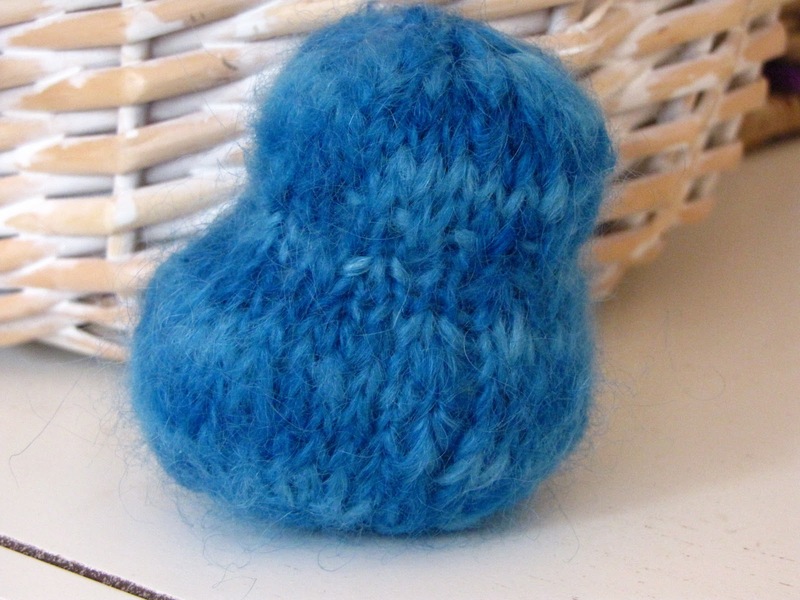 Fill your bluebird with soft fleece and ensure he is wonderfully firm, shaping him as you go. Take your needle and thread it through your stitches and pull firmly closed and finish off. 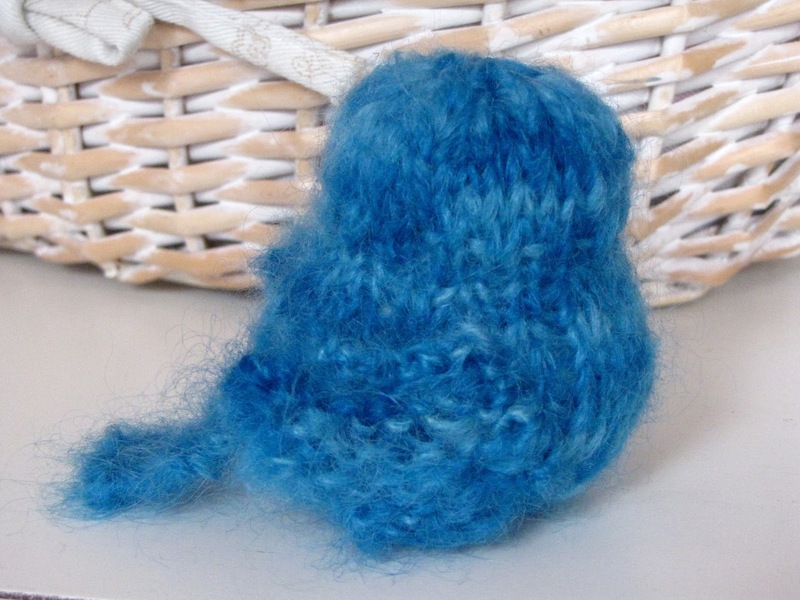 Shape your bluebird gently, by pushing more fleece to the back as can be seen in the photo. Sew on wings and tail. To make the beak, sew a loop in brown wool and weave in and out through the loop and finish off. Needle felt on two black eyes with fleece and a felting needle. So freakn’ cute!!! What a perfect stocking stuffer!!!! Great idea mama! Linda, you are truly amazing, and so generous as to what you give here. These are gorgeous. Lovely. She will fit very nicely into a cupped hand. Such a sweet little bird. Happy Fiber Arts Friday! Darling, I will most certainly be knitting myself a little flock of these cuties! Thanks for sharing the pattern! I am a huge fan of the Magic Loop. It has saved my sanity this year. Very cute pattern thank you! So very adorable! Beyond my skills right now, but awesome. Could I use double pointed needles instead of circular needles? Absolutly, DPNs will be perfect too. I’ll definitely make this little creature in blue because at the beginning of December we had bluebirds at our bird feeders. Rare at anytime on our wooded lot but unheard of in Dec. Now we have 6 inches of snow on the ground and mounded on top of the feeders and the cardinals look spectacular against the snow. The males are glowingly brilliant in the sun, which in not frequent here. The cardinals are year-long residents of central Oho. So I will also make one in red and try to figure how to put a crest on its head. I’m not too great at improvising but I will try. Love the Bluebird. What size needle did you use? How tall is he? Thanks for sharing. i love the bluebird too.Could you tell me what size needles you used. I am not an experienced knitter. Thank you. I am currently working on your owl pattern. Thank you for sharing.